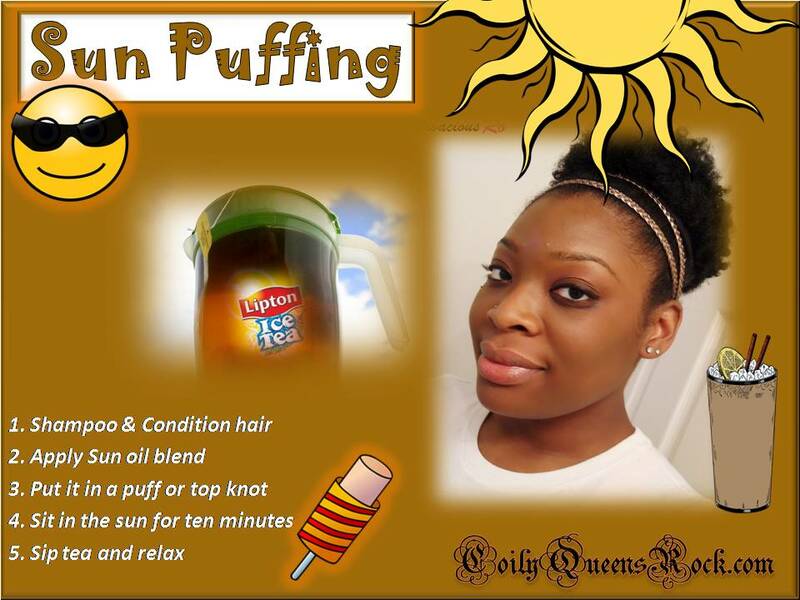 CoilyQueens™ : FREE or low costs ways to increase your hair growth! FREE or low costs ways to increase your hair growth! 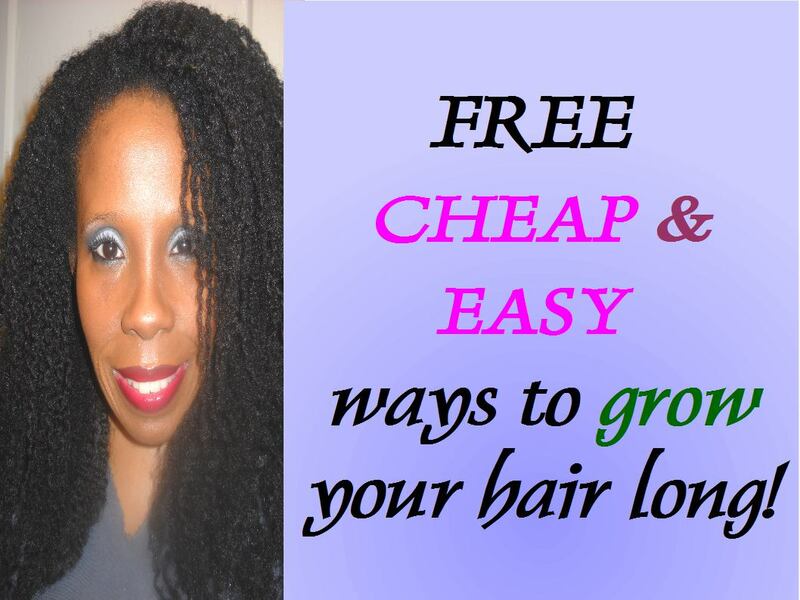 Increasing your hair growth does not always have to be an expensive monthly cost. Here are 5 ways you can increase your hair growth, without breaking the bank. Drinking this amount of water daily over a period of time, will greatly make a difference in your hair growth. If you have a home water filter, this will cost you nothing extra. Inflammation is the leading cause of slow hair growth. Giving your body adequate amounts of water on a consistent basis will heal this inflammation. This will enable your hair roots to grow at its optimum rate. See some results after 10 days! Optimum results in 90 days! 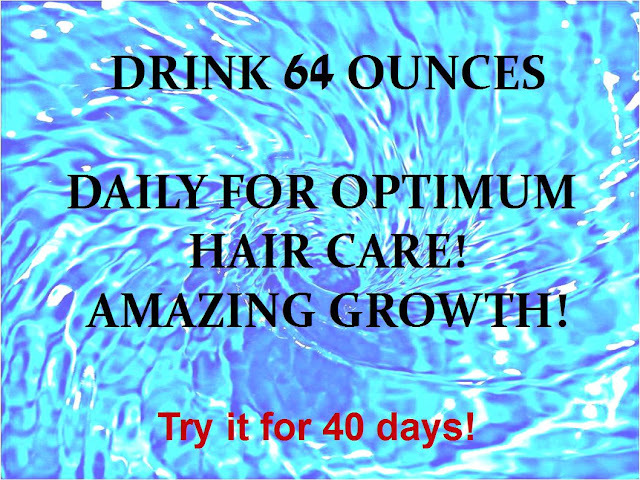 This is the ultimate hair growth stimulation for those with slow hair growth circulation issues. Scalp brushing stimulates the dermal papilla muscles to help produce faster hair growth. Each toothbrush bristle functions as acupuncture for the scalp. Do this ten minutes a day 3 times a week. Amazing hair growth with consistency! Vitamin D is essential to your overall health. There are lots of black people who are low on vitamin D and do not realize it. Getting a little sun for 10 to 20 minutes a day can greatly improve your hair growth rate. Gather your hair to the top of your head in a top knot. Soak up some sun for ten to 20 minutes daily. This is healing to the whole body. Purchase food grade MSM sulfur powder. Mix 1 tablespoon into 8 ounces of juice and drink daily. Taken internally it will extend your hair growth phase. Thus your hair will grow longer. Mix 2 tbsp into 7 ounces of cold pressed avocado oil. Shake well before each use. Apply to your scalp 3 times a week. 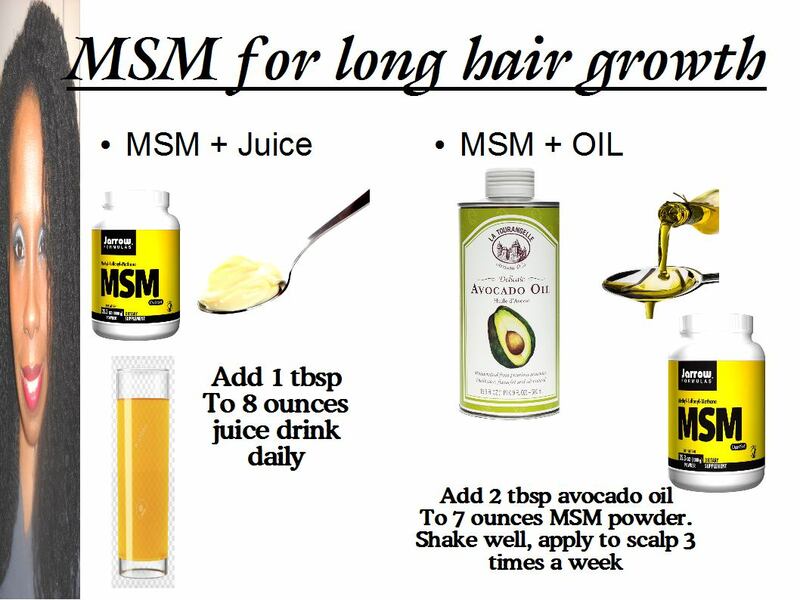 MSM will eliminate fungus from the scalp and prevent it from returning. Scalp fungus is the leading cause of slow hair growth. Start today for amazing growth! Cost $15.99 a month This is a new hair growth vitamin. 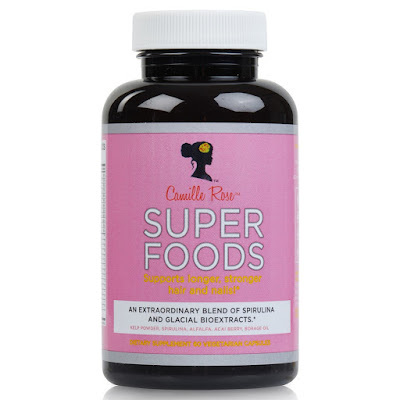 Unlike many other hair vitamins this one has a blend of super foods, which gives it that extra POW! BLACK OWNED! Notice results in 40 days!